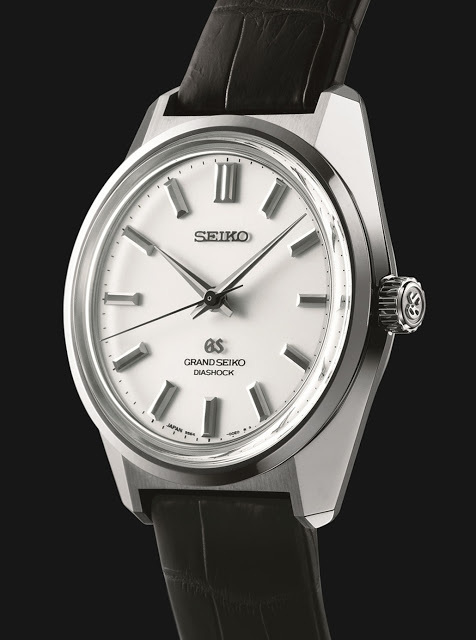 To mark 100th years of Seiko watchmaking, the company has created a limited edition reissue of the 44GS of 1967, equipped with the manual wind 9S64 movement. Named after the cal. 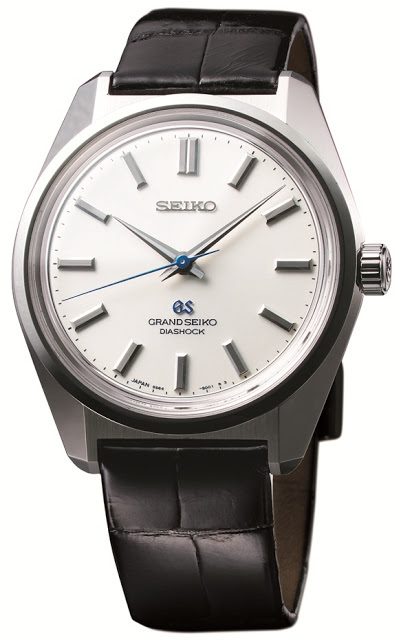 4420 inside, the 44GS was the first Grand Seiko produced by Daini Seikosha (now Seiko Instruments Inc or SII), back in 1967. 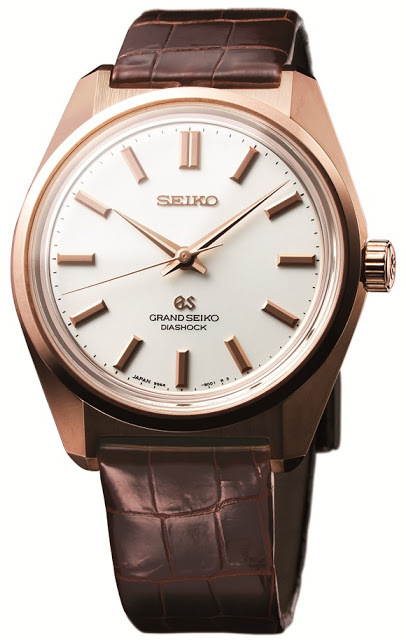 With its angular and clean case lines, the 44GS had a more modern look than the earlier Grand Seiko models, establishing the signature Grand Seiko aesthetic that still characterises the line today. 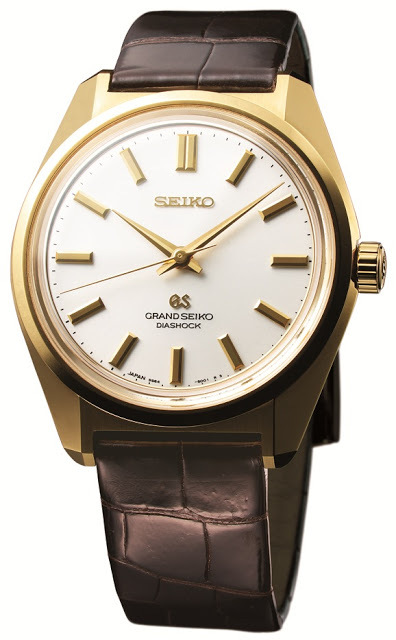 Seiko has remade the 44GS for its 100th anniversary, in three colours of gold as well as steel. Like the commercially successfully 130th anniversary reissue of 2011, the new 44GS reissue is faithful to the original. The case is 37.9 mm wide and 11.5 mm high, with wide, polished flanks. 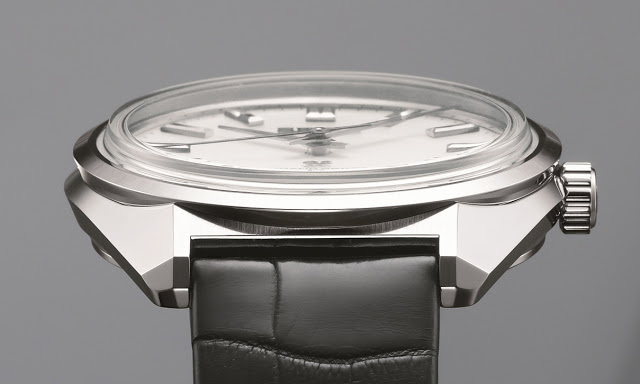 Seiko uses a technique similar to black polishing (or speculaire) to finish the case, resulting in extremely precise and distortion free surfaces. The box shaped sapphire crystal have antireflective coating on the inside. Comparing Seiko's most recent vintage Grand Seiko reissues, this year's 44GS remake SBGW047 and the 130th Anniversary SBGW033 from two years ago.